Long-tailed bat are widely distributed throughout the mainland and on several offshore islands. Long-tailed bats used to be common throughout New Zealand in the 1800s, although by 1900-1930 they were becoming scarce in many districts. Recent surveys indicate that South Island long-tailed bats are rarer than previously thought. They were once common in Dunedin, Invercargill and Christchurch, where they roosted under the wooden bridges across the Avon River until 1885. The long-tailed bat (Chalinolobus tuberculatus) belongs to a more widespread family and is closely related to five other species of wattled or lobe-lipped bats in Australia and elsewhere. The North Island and South Island long-tailed bat was confirmed in 2018 as one species. It has the highest threat ranking of ‘nationally critical’. Long-tailed bats are widely distributed throughout the mainland, Stewart Island, Little Barrier and Great Barrier islands and Kapiti Island. They are more commonly seen than short-tailed bats as they fly at dusk along forest edges. 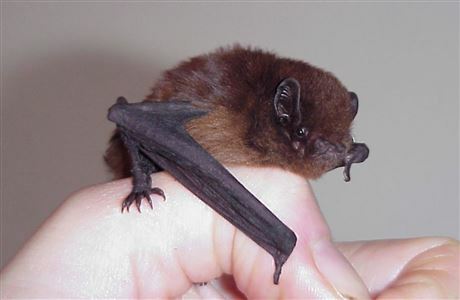 Long-tailed bats are smaller than the short-tailed bat, chestnut brown in colour, have small ears and weigh 8-11 grams. They are believed to produce only one offspring each year. The bat's echo-location calls include a relatively low frequency component which can be heard by some people. It can fly at 60 kilometres per hour and has a very large home range (100 km2). An aerial insectivore, it feeds on small moths, midges, mosquitoes and beetles. South Canterbury supports the only known long-tailed bat population on the East Coast of the South Island. Bats are limited to a small area from Peel Forest in the north, southwards through the foothill gorges of the Orari, Waihi, and Te Moana Rivers, Geraldine, and the Kakahu and Opihi Rivers. On the willow-lined Opihi, bats have been reported regularly from Arowhenua and inland to the gullies of The Brothers and to the Opuha Gorge. The core of the population is centred on forest remnants and limestone areas around Hanging Rock. Geraldine is one of the few towns in New Zealand where it is possible to see long-tailed bats. They flit like large butterflies at dusk as they emerge from giant totara and matai in Talbot Forest. Exclusion of bats from roosts by introduced mammals, birds, wasps, and human interference. Watch a video that explains how 1080 is helping to protect our native bats. DOC's bat (pekapeka) recovery plan has a goal of conserving all bat subspecies throughout their present range and establishing new populations where possible. Surveys are being undertaken in many areas to determine the present distribution of the two bat species. Bats are located by searching with an electronic 'bat box', a small black box that can pick up high frequency echo-location calls. DOC protects priority populations of long-tailed bat through predator control. 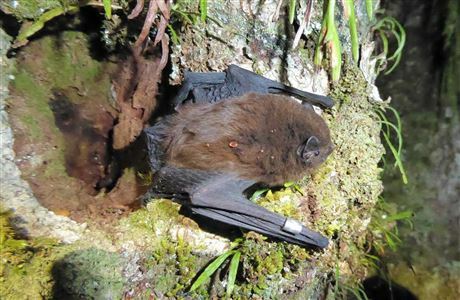 In the Eglinton valley in Fiordland, the long-tailed bats have steadily increased over more than a decade as a result of sustained predator control work there. Research is revealing the complex social systems of short-tailed and long-tailed bats, with both bats using a series of communal and solitary day-time roosts. Most remaining bat populations are associated with extensive native forest. However, South Canterbury is special because this is one of the few places where bats have persisted in a rural landscape. DOC researchers have been collecting information about bats in the Hanging Rock area. The population is small and vulnerable, numbering only about 100 bats and still declining. By learning why bats have survived here, the researchers hope to make recommendations that will help restore bat populations in South Canterbury and other parts of New Zealand. Bats are dependent on old-aged trees that provide cavities with the correct conditions for breeding. They prefer to roost in the native trees that are now scarce. However, they will roost in introduced trees that are allowed to get old and large enough for natural cavities to form. The bats in South Canterbury have had to adapt to using species such as willows, poplars, macrocarpa, and pines. 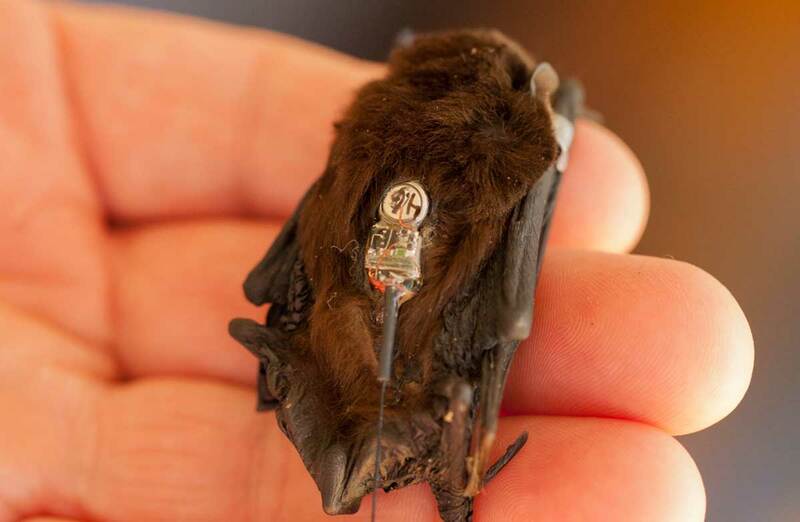 Four special roosts used by female bats to nurse young were found in the Geraldine area. Three of these trees were intended for firewood. Protect native forest in your area. This will assist other species as well as bats. 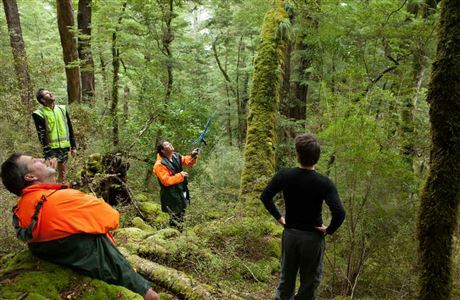 If you are a backcountry user, farmer, or belong to a conservation group, become involved in bat spotting to assist DOC in determining bat distribution throughout New Zealand. Protect native forest remnants - bats prefer to feed along forest edges and over native shrublands. Old-aged kanuka provide important roost sites in South Canterbury. Where you find bats, do not disturb them - It is safe to watch bats as they emerge from roosts or feed, but sit quietly so they will not be frightened away. Some bats roost in limestone bluffs in late summer and winter, so rock climbers need to be careful not to disturb them. Retain standing dead trees and old-age trees with cavities - Dead trees and old trees with hollows and cavities are still valuable for wildlife. Bats rest by day and breed in cavities in old-aged trees. They move to a new roost tree regularly so are not always present at a site, but may return later to reuse it. A social group can use over 100 different roosting trees. If woodlots are being felled, check trees for cavities first. Ask DOC for assistance in determining how they might be safeguarded. Protect cabbage trees and other lone native trees on farmland - Hollows in cabbage trees are also important roosts. Replant natives in these areas to shelter the trees and ensure their long term survival. Protect old-age willow and poplar forest around ponds where bats feed – Bats like to feed on aquatic insects over water. Ponds sheltered by overhanging trees help bats to feed in poor weather. Numerous willow areas along the Opihi and Opuha Rivers and their tributaries provide this shelter.